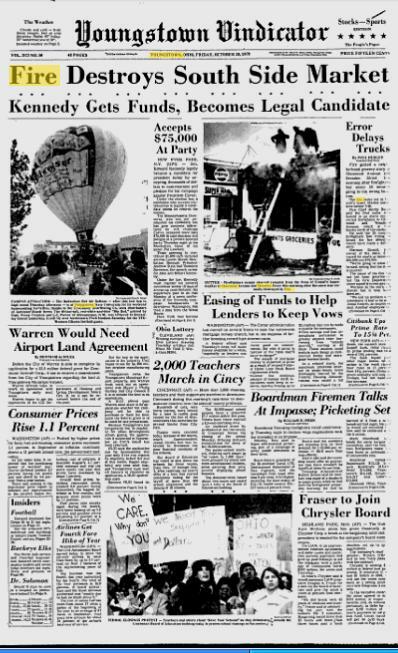 On 26 October 1979, around 7:30 a.m., heading south on Glenwood Avenue in Youngstown are a young couple en route to their jobs as teachers at Saint Charles School in Boardman. Approaching the intersection of Glenwood and Breaden Street, they notice smoke coming from the local grocery. With a fire station just blocks away, the husband speeds the car to report the alarm. 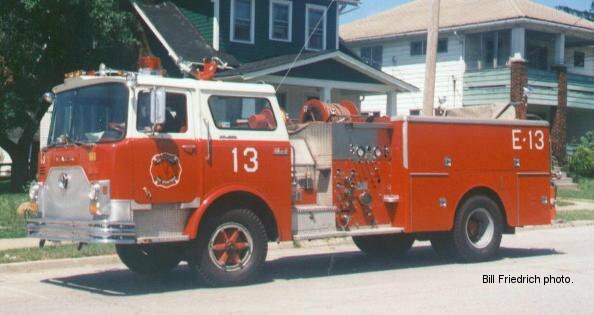 In 1979, this was Youngstown Fire Department’s Engine 13, a 1974 Mack CF. Photo by Bill Friedrich. The men of Engine Company 13 quickly take down the run from this verbal report and scream down Glenwood to the scene. Only the scene can’t be found. “What’s the address that couple gave us?,” the men no doubt shout to each other. “Glenwood and Woodland” was the reply. For twenty minutes, firefighters searched the area of Glenwood and Woodland with no luck. 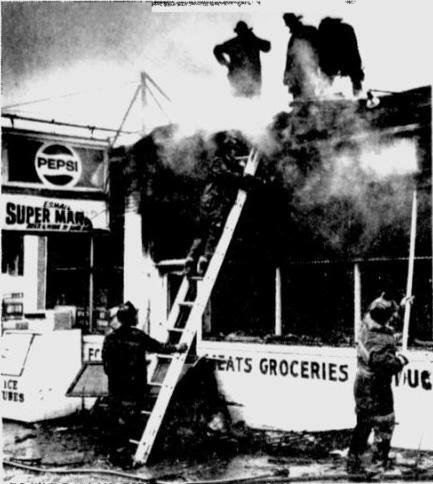 They wouldn’t see the smoke pouring from the grocery at Breaden and Glenwood until it was called in by the shop’s owner, coming to open for the day. Photo from the Youngstown Vindicator, October 26, 1979, by Paul R. Schell. Eighteen firefighters battled the blaze for thirty minutes before it was brought under control. An electrical short was determined as the cause. The Vindicator article is quick to quote the fire chief, who in turn is quick to blame these unnamed do-gooders for reporting the wrong address. Or did they? My parents Pat and Becky Lowry, who were this unnamed couple, swear they correctly directed the firefighters. The fire chief fails to mention that his men traveled five blocks past the fire in their search. The Vindicator got two days out of the story, publishing a follow-up on October 30. My parents continued to work that morning, the unnamed fall guys for this accidental fire.